Lulu 6, Francette 2, Marie [Marnie?] Magone 4, 1888 or 1889. Gift of Mrs. Esther Westby. LO#41, OA#41. Description Mounted on cardboard. Printed on front: Partridge, opposite the post office, Portland, Or. Same image as #334. 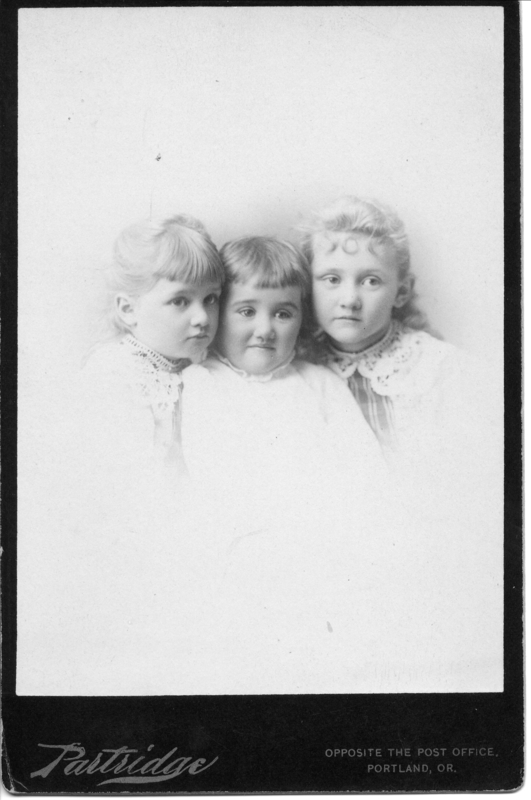 Transcription Lulu 6, Francette 2, Marie [Marnie?] Magone 4, 1888 or 1889. Gift of Mrs. Esther Westby. LO#41, OA#41. Physical Description H 6 1/2"" x W 4 1/4""